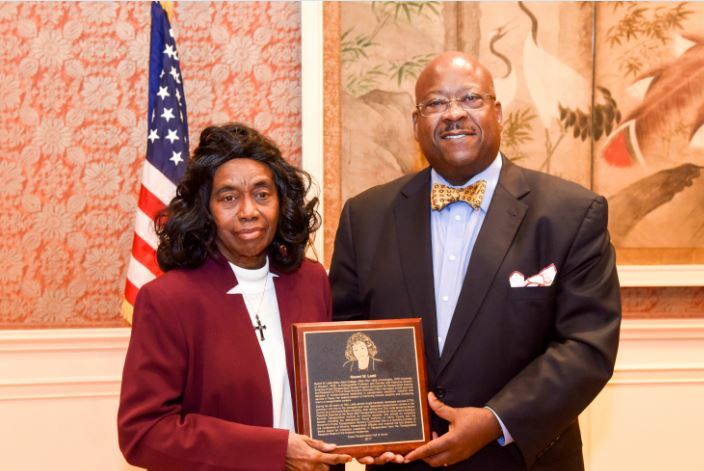 Dr. Naomi W. Ledé, distinguished professor and founder and executive director emeritus of the Transportation Studies Program and Center for Transportation Training and Research (CTTR) at Texas Southern University (TSU) was inducted into the Texas Transportation Hall of Honor on November 20. The induction ceremony and luncheon, hosted by the Texas A&M Transportation Institute (TTI), took place at the Texas A&M University System’s Board of Regents’ dining room on the Texas A&M University campus in College Station. During her 22 years at TSU, Ledé almost single-handedly developed and led CTTR, growing it into one of the strongest and most respected transportation centers in the country at a historically Black university. After retiring from TSU, Ledé served as senior research scientist at TTI for seven years leading a Summer Transportation Institute for minority students. Ledé is also a founding member of the Conference of Minority Transportation Officials and received the first Sharon D. Banks Award for Innovative Leadership in Transportation from the Transportation Research Board of the National Academies of Sciences, Engineering and Medicine. Joining Ledé for the event were a multitude of family members; TSU and TTI colleagues; former and current TSU students; and staff of the Metropolitan Transit Authority of Harris County (Houston METRO), where she previously served as a board member. 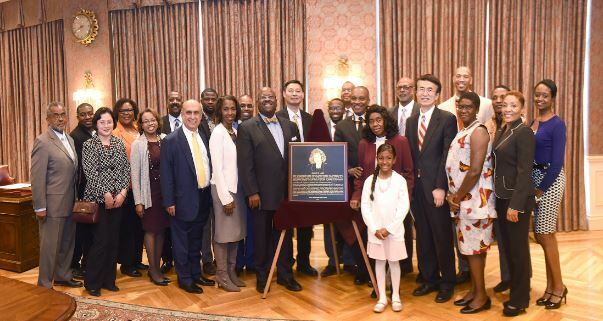 “In the view of the board of directors of the Hall of Honor, perhaps what set Dr. Ledé apart from so many other deserving individuals was her unwavering commitment to training the next generation of transportation professionals and encouraging them in their careers, which is exemplified by the number of students here today,” said TTI Agency Director Greg Winfree, who opened the ceremony. Other speakers at the ceremony were: Dr. Katie Turnbull, TTI executive associate agency director; Dock Burke, center director (retired) of the Southwest Region University Transportation Center, a previous University Transportation Center partnership among TTI, TSU and the Center for Transportation Research at the University of Texas; Kimberly Williams, chief innovation officer at Houston METRO; and Khosro Godazi, CTTR associate director. In addition to the oral accolades given to Ledé, she also was honored with two resolutions, one from a former student – The Honorable Rodney Ellis, Harris County Commissioner and formerly Texas Senator of District 13. Ellis presented a resolution in her honor adopted by the members of the Harris County Commissioner’s Court. The second resolution was presented by Williams, along with Vincent Sanders, lead transportation systems planner at Houston METRO, for Ledé’s service to the agency as a board member and a mentor to minority transit professionals. Ledé is the 43rd member of the Hall of Honor, which was established in 2000 by TTI to recognize select individuals who played pivotal roles in the advancement of transportation in Texas and the nation. The Hall is overseen by a five-member board, and each individual inducted is recognized by a plaque on permanent display in the Hall of Honor, which is located at TTI on the Texas A&M campus.